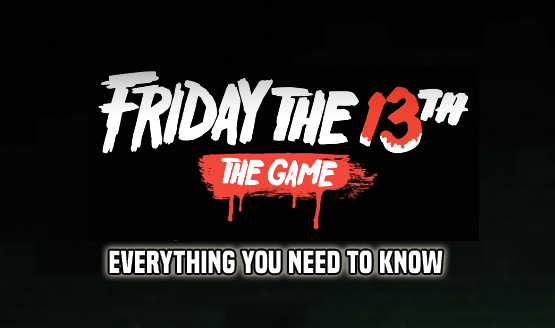 Fixing the matchmaking issues that have plagued the game since launch, Friday the 13th: The Game update 1.04 is now live on PlayStation 4, the developers have announced. According to players, it’s a 414MB download. Matchmaking Fixes. Should decrease amount of time it takes to match make. Added a Random option in the lobby. Increased effectiveness of Jason and Counselor spawn preference options. Shuffling the possible Jason list 3x as much to help randomness. Disabled inhale sound effect for breathing while in a hiding spot. Made dead body stingers less obnoxious: Ignored while being pursued by Jason; 10s cooldown; Will not fire for witnessed nearby deaths. Fixed issue where you have infinite stamina. Fixed a few areas where the player couldn’t reach with Jason. Also fixed a stuck spot on Packanack. Fixed perk roller UI sometimes getting stuck if there is an error talking to the database. Fixed session heartbeat requests to be more resilient to service failures. Fixed character hair stretching at lower frame rate. Fixed Jason not always aborting the knife throw when stunned. Fixed a case where it was possible to get stuck in a knife throw. Fixed some visibility issues with the door interaction icons. Fixed some placement issues with dropped items. Fixed Jason’s mask floating when knocked off. Fixed Jason not always cancelling shift or morph if they hit a car in reverse. Fixed an issue with the hiding spot exit code. Fixed Counselors potentially getting stuck inside of a wall if hit while climbing through a window at the perfect time. Fixed Rotate Minimap With Player not updating when changed until a map change. Fixed some host specific crashes. Fixed people being able to share settings save games. Additionally, for those with DLC, the Savini-Jason is live, while Clothing Packs should arrive within the day. Those in North America who backed the game should be able to use their keys now, and those in Europe are being emailed their keys now. The developer adds that “matchmaking fixes are always an on-going process,” and you should see a 4x – 6x improvement in matchmaking speed with 1.04. For those still waiting on PS4/XB1, please know our team is continuing our work with MS and Sony. Things are going to improve! We realize the wait has been long, but the upgrades are going to make things more stable, more fun and long-lasting. It’s been a tough launch, for sure. Our team apologizes for the frustration, but we heard you and we’re on it! For the majority that been playing; we thank you for your support, your feedback, your comments. We are taking everything in! Thank you!